I am playing along with CAS(E) this Sketch this week....another first for me! Here is this week's sketch. 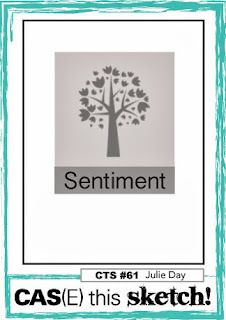 When I saw this sketch I immediately thought of PTI's Through the Trees so I decided to pull it out and use it for this card. I embossed the tree in gold and added a Simon Says Stamp heart die with a touch of red Stickles. Hi Megan! Your blog looks beautiful! Congrats! You will figure it out - it is hard to get used to at first, but there are lots of tutorials online. So far, you have done an amazing job. I love this card - the blue is a gorgeous shade, and I love the texture that it seems to have. 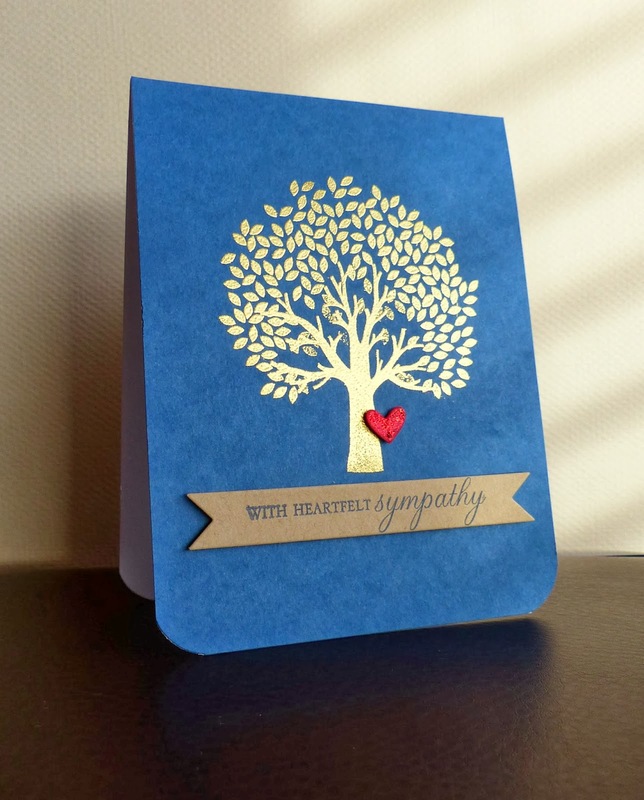 FABULOUS gold embossing against the blue Megan, LOVE your stickled heart too! Oh, this is stunning, Megan! Perfect take on the sketch! What a great idea to emboss the tree in gold - it looks stunning on the blue! And then that red heart... Love it! The gold tree looks fabulous against that blue and I love the pop of red. Thanks for playing along with CAS(E) This Sketch this week! A perfect take on the sketch! I love that red heart--a nice touch!